Although it isn’t easy to believe with the large amounts of snow covering the the ground all over town, spring is nearly here and with spring comes Rockland High’s annual Spirit Week and Pep Rally. This year the Pep Rally will be organized by Student Government Council Spirit Committee Chair, Caitlin Yannizzi, Head SGC Adviser, Kristen Walsh, RHS’s Athletic Director, Gary Graziano, and Vice Principal, Kathleen Paulding. During the week students will be encouraged to dress accordingly to that day’s theme (see schedule below). The theme days will be followed by the Pep Rally on Friday. After a great Winter sports season with three RHS teams participating in post-season tournament, multiple first place wins by the Cheerleading team, and two members of the Wrestling team competing in the MIAA State Wrestling Tournament, the school has a lot to celebrate and plenty to look forward to in the upcoming season. Spirit Week will allow students to show pride in their school and finish off the week with a fun rally honoring all of this season’s achievements and preparing for next season’s. Spirit Week kicks off Monday so get ready to show some RHS spirit! Two Rockland High wrestlers, senior Dennis McPeck and junior Brad Gasdia, competed in the MIAA State Wrestling Tournament last Friday and Saturday in Wakefield. The roads for these wrestlers were not easy, however, as not only did they have to qualify for the sectional tournament in Foxborough but they also had to wrestle well enough to qualify for states. McPeck thrived in sectionals, making it all the way to the final match in his weight class in Division 3. McPeck lost a three-round (maximum) heartbreaker, 6-4. In the state tournament, McPeck ran into a bit of controversy in his 6-5 loss. The official called McPeck for stalling and trying to send the match to overtime, awarding the deciding point to his opponent from Danvers. McPeck’s day ended with a 6-2 loss in the next round. Junior Brad Gasdia continued his successful season by having a very successful state tournament. Gasdia’s 4 wins in the state tournament earned him a spot in the All-State tournament. Gasdia won in convincing fashion with 2 pins, a forfeit, and an 11-3 decision en route to a 6th place finish in the 138 pound weight class. The All-State tournament will take place Friday Feb. 27 and Saturday Feb. 28 at Salem High School. 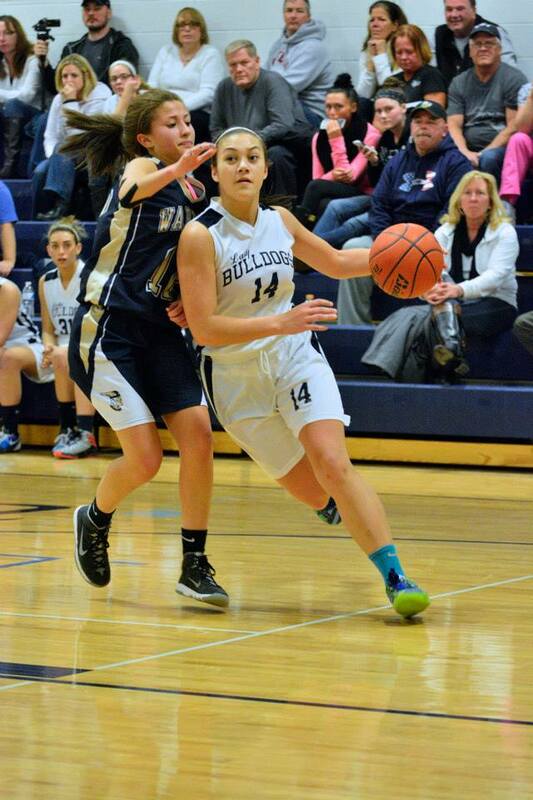 The Rockland girls basketball team advanced to the quarterfinals of the Division 3 South Sectional tournament last night, defeating Coyle-Cassidy, 43-40 in a first round, defensive battle at the Dog Pound. The lead went back and forth throughout the game. Rockland led by three at half-time, 18-15 but Coyle tied it up and went ahead in the second half, putting the crowd on the edge of their seats. 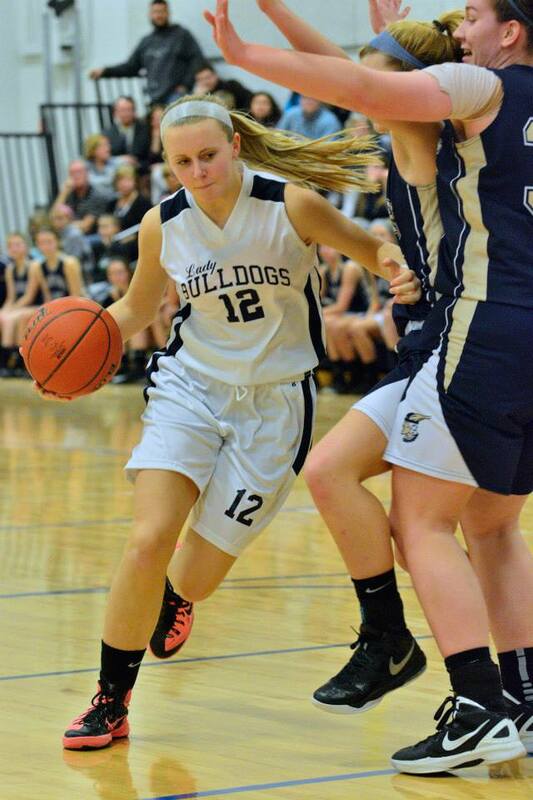 Kallie Morss played tough for the Lady Dogs against Coyle last night. Junior Kyra Rose had a total of 23 points and 12 rebounds, senior Kallie Morss had a total of 8 points and, freshman Erika Ochenduszko had 8 rebounds to lead the Lady Bulldogs to the victory. Kyra Rose and Danielle O’Brien both hit huge 3’s while the clock in the fourth quarter while Ochenduszko and Rose hit free throws at the end to secure the victory. Number 3 seed Rockland (17-4) will be facing the number 11 seed Bishop Stang (12-9) in the quarterfinals Friday in another home game at 6:30 pm. 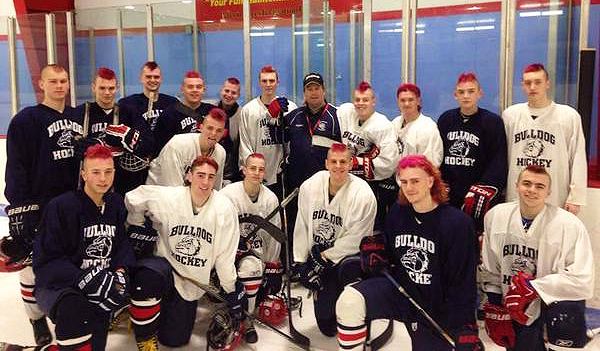 The road to the Garden was kicked off Tuesday night as the Rockland Bulldogs defeated Abington in a hard fought battle on the ice at the Rockland Rink. With a score of 1-0 the game was back and forth all night long. The Dogs scored midway through the second period as sophomore Matt Dunn scored off of a deflection. Throughout the game senior Dylan Bernache came up huge with 29 saves and great stops on multiple five on three situations and with the final minutes of the game winding down. The Bulldogs had many chances to pad the lead; however, bad bounces and saves from Abington’s netminder Mike Morse, kept the Green Wave in the game. It’s not often two rivals get to play a tournament game in their own rink. The rivalry between Rockland and Abington is strong in every sport, and Tuesday night was no different. 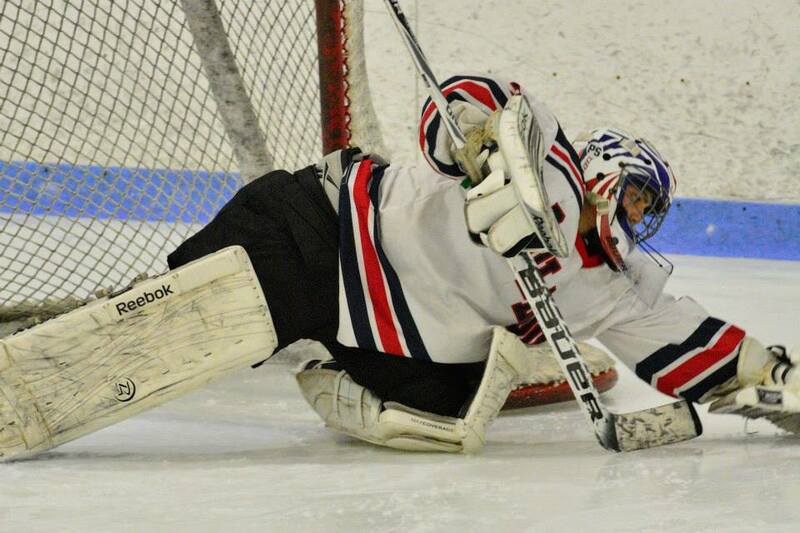 Rockland Rink was busting at the seams as supporters from both towns cheered and rallied behind their team. 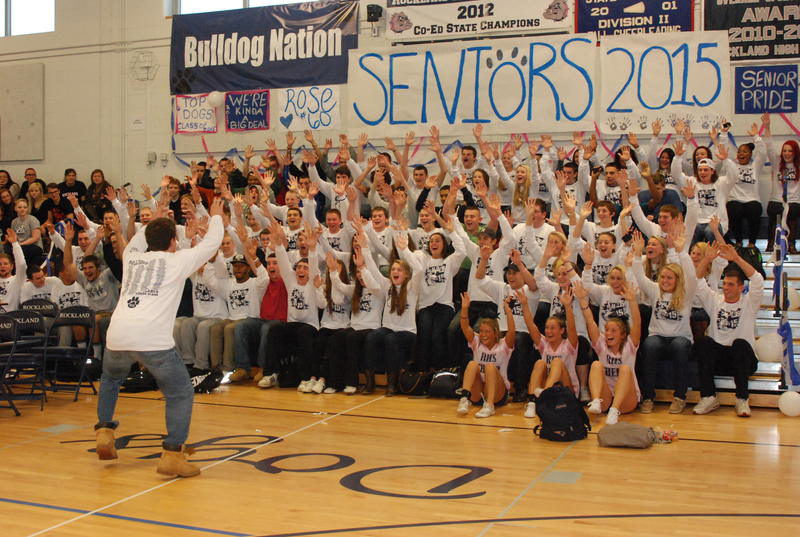 Bulldog Nation was especially spectacular throughout the game. A sea of pink filled the rink as Rockland High School students and players took part in a pink out night to support breast cancer awareness. 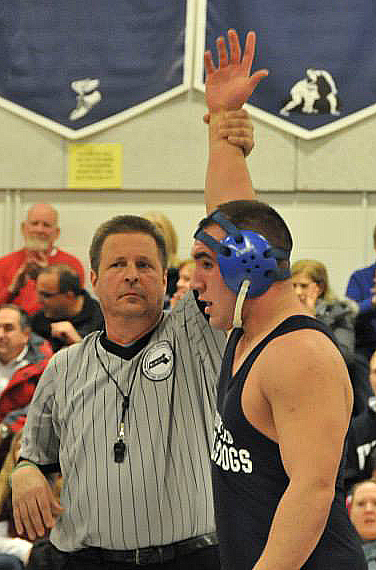 The Dogs will go on to face top seeded Norwell in their next step towards greatness. The game will be played at 7:00 on Friday night at the Bog in Kingston. RHS’s SAT prep course that was scheduled to start today has been postponed until next week due to the number of students participating in tournament games this week. This week’s classes will be made up at a later date. The registration deadline has been extended until this Friday, February 27. If you are interested in signing up for the courses the registration form can be found by clicking here. The cost, including all materials, is $75 for one subject and $100 for both. The Veritas wishes all athletes participating in tournaments this week good luck! Go Dogs! 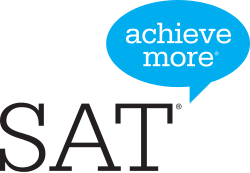 As a reminder to those who signed up for RHS’s SAT prep course, classes will begin tomorrow, February 24, starting with the mathematics review portion of the program. The math section will be held each Tuesday night from February 24 to April 28. The critical reading and writing section will be held each Thursday night from February 26 to April 30. All classes will take place from 7 to 8:30 at the high school. 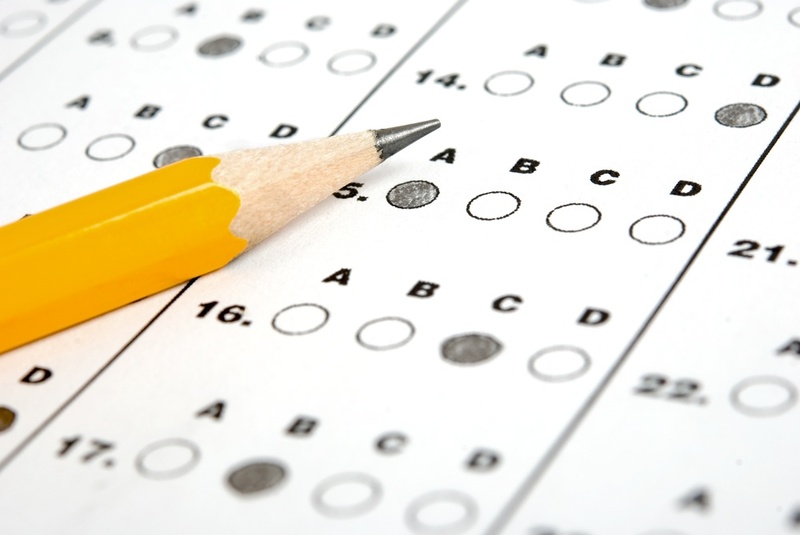 This nine week course will prepare students for the upcoming May 2 SAT exam. Should Boston Host Olympics in 2024?